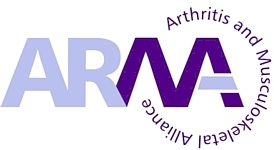 September always kicks off with a huge surge in requests to the Hypermobility Syndromes Association for assistance with children struggling with school. 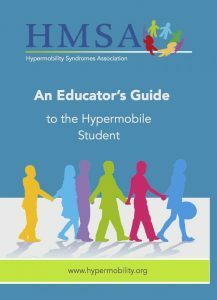 The HMSA produces a booklet called ‘The Educators Guide to the Hypermobile Student‘. This booklet, beneficial for parents and those in education, can help explain the impact of these conditions on the individual in an educational setting. The guide is available from the website shop, hypermobilityshop.org, and is currently at a reduced price. Students going into secondary school often start having problems because of the environmental change. Secondary school usually means bigger and heavier backpacks, a larger campus, many flights of stairs and changing classrooms several times a day. The booklet can help you to find ways of reducing the physical stress on our children. Usually, by Christmas children have started to develop the stamina to get through a school day and all may be well from then on. However, a few children also start creeping into the stage where we see the highest new diagnosis rates of hypermobility … puberty! Others may struggle to keep up with their peers or with feelings of being different. This is the worse age, emotionally, for children to feel they are so different from peers and they often need more support emotionally. Don’t be afraid of asking questions in the HMSA Family and Education group on Facebook. This group has teachers, OTs, nurses and SENCOs and of course, other families going through the same issues. There is also a section for primary school children to read about their conditions on our website hypermobility.org. Parents and teachers can also speak to HMSA helpline (033 3011 6388) staff, who will do their best to assist you or find someone who can.